These Terms of Sale, together with any and all other documents referred to herein, set out the terms under which Goods are sold by Us to consumers through this website, www.maharishi.co.uk ("Our Site"). Please read these Terms of Sale carefully and ensure that you understand them before ordering any Goods from Our Site. You will be required to read and accept these Terms of Sale when ordering Goods. If you do not agree to comply with and be bound by these Terms of Sale, you will not be able to order Goods through Our Site. These Terms of Sale, as well as any and all Contracts are in the English language only. We accept orders from, and deliver to, customers outside the United Kingdom. Please note that sub-Clause 7.a does not exclude Our responsibility for mistakes due to negligence on Our part and refers only to minor variations of the correct Goods, not to different Goods altogether. Please refer to Clause 11 if you receive incorrect Goods (i.e. Goods that are not as described). Where appropriate, you may be required to select the required size, number, of the Goods that you are purchasing. We cannot guarantee that Goods will always be available. Stock indications are provided on Our Site, however such indications may not be accurate due to delays in updating on line stock levels. We make all reasonable efforts to ensure that all prices shown on Our Site are correct at the time of going online. We reserve the right to change prices and to add, alter, or remove special offers from time to time and as necessary. Changes in price will not affect any order that you have already placed (please note sub-Clause 7.i regarding VAT, however). Delivery charges are not included in the price of Goods displayed on Our Site. For more information on delivery charges, please refer to our postage and packaging charges. Delivery options and related charges will be presented to you as part of the order process. In the unlikely event that We do not accept or cannot fulfil your Order for any reason, We will explain why in writing. No payment will be taken under normal circumstances. If We have taken payment any such sums will be refunded to you as soon as possible and in any event within 7 calendar days. Any refunds due under this Clause 8 will be made using the same payment method that you used when ordering the Goods unless you specifically request that We make a refund using a different method. If you do not collect the Goods or rearrange delivery within 14 calendar days, We will contact you to ask you how you wish to proceed. If we cannot contact you or arrange redelivery or collection, We will treat the Contract as cancelled and recover the Goods. If this happens, you will be refunded the purchase price of the Goods themselves, but not the cost of delivery. We may also bill you for any reasonable additional cost that we incur in recovering the Goods. If you do not wish to cancel under sub-Clause 10.c or if none of the specified circumstances apply, you may specify a new (reasonable) delivery date. If We fail to meet the new deadline, you may then treat the Contract as being at an end. You may cancel all or part of your Order under sub-Clauses 10.c or 10.d provided that separating the Goods in your Order would not significantly reduce their value. Any sums that you have already paid for cancelled Goods and their delivery will be refunded to you within 7 calendar days. Please note that if any cancelled Goods are delivered to you, you must return them to Us or arrange with Us for their collection. In either case, We will bear the cost of returning the cancelled Goods. Any refunds due under this Clause 10 will be made using the same payment method that you used when ordering the Goods unless you specifically request that We make a refund using a different method. If you do not wish to reject the Goods, or if the 30 calendar day rejection period has expired, you may request a repair of the Goods or a replacement. We will bear any associated costs and will carry out the repair or replacement within a reasonable time and without significant inconvenience to you. In certain circumstances, where a repair or replacement is impossible or otherwise disproportionate, We may instead offer you the alternative (i.e. a replacement instead of a repair or vice versa) or a full refund. If you request a repair or replacement during the 30 calendar day rejection period, that period will be suspended while We carry out the repair or replacement and will resume on the day that you receive the replacement or repaired Goods. If less than 7 calendar days remain out of the original period, it will be extended to 30 calendar days. To return Goods to Us for any reason under this Clause 11, please contact Us at The General Manager, Ayurveda Limited Beacon House, Willow Walk, Skelmersdale, WN8 6UR or telephone Customer Services on +44 (0) 1695 51015 to arrange for a collection and return. We will be fully responsible for the costs of returning Goods under this Clause 11 and will reimburse you where appropriate. If you are a consumer in the European Union, you have a legal right to a "cooling-off" period within which you can cancel the Contract for any reason. This period begins once your Order is complete and We have sent you your Order Confirmation, i.e. when the Contract between you and Us is formed. You may also cancel for any reason before We send the Order Confirmation. You may return Goods to Us in person during Our business hours of Monday to Friday 9:00am to 5:00pm or you may return them by post or another suitable delivery service of your choice to Our returns address at Ayurveda Limited, Beacon House, Willow Walk, Skelmersdale, Lancashire, WN8 6UR. please contact Us at Ayurveda Limited, Beacon House, Willow Walk, Skelmersdale, Lancashire, WN8 6UR to arrange for a collection and return. Please note that you must bear the costs of returning Goods to Us if cancelling under this Clause 12. We will also charge you the direct cost to Us of collection if you request that We collect the Goods from you. The cost of returning Goods to Us should not normally exceed the cost of having them originally delivered to you if you use the same carrier. Refunds under this Clause 12 will be made using the same payment method that you used when ordering the Goods unless you specifically request that We make a refund using a different method. Post: The General Manager, Ayurveda Limited, Beacon House, Willow Walk, Skelmersdale, Lancashire, WN8 6UR. 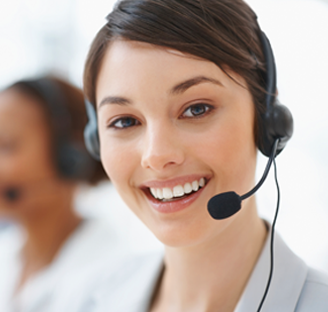 If you wish to contact Us with general questions or complaints, you may contact Us by telephone at +44 00 (0) 1695 51015, by email at customerservices@maharishi.co.uk, or by post at The General Manager, Ayurveda Limited, Beacon House, Willow Walk, Skelmersdale, Lancashire, WN8 6UR. For matters relating the Goods or your Order, please contact Us by telephone at +44 00 (0) 1695 51015, by email at customerservices@maharishi.co.uk, or by post at The General Manager, Ayurveda Limited, Beacon House, Willow Walk, Skelmersdale, Lancashire, WN8 6UR. For matters relating to cancellations, please contact Us by telephone at +44 00 (0) 1695 51015, by email at customerservices@maharishi.co.uk, by post at The General Manager, Ayurveda Limited, Beacon House, Willow Walk, Skelmersdale, Lancashire, WN8 6UR, or refer to the relevant Clauses above. By contacting Us by telephone on +44 00 (0) 1695 51015. We may revise these Terms of Sale from time to time in response to changes in relevant laws and other regulatory requirements. If We change these Terms of Sale as they relate to your Order, We will give you reasonable advance notice of the changes and provide details of how to cancel if you are not happy with them. If you do opt to cancel, you must return any affected Goods you have already received and we will arrange for a full refund (including delivery charges) which will be paid within 7 calendar days of your cancellation. If you are a consumer, you will benefit from any mandatory provisions of the law in your country of residence. Nothing in Sub-Clause 19.a above takes away or reduces your rights as a consumer to rely on those provisions.